I think that little Taylor Swift has just done amazing. She knew exactly who she was, she had her dream, and she stuck with it. That's what you gotta do. I'm just so proud of her. It should go without saying that Parton, a music legend who has made 80 albums, has had 25 #1 singles, and has had 3,000 of her original songs published, paying this type of compliment to Swift is a huge deal. 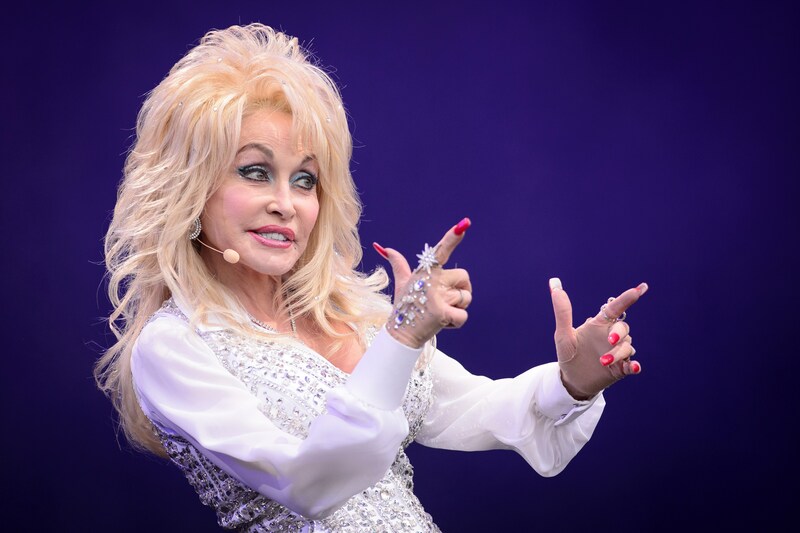 After all, in the decades that Parton has become a personality both onstage and off, she has surely seen many promising and talented artists come and go. She should know better than anyone else who might have a better chance of staying power in the entertainment industry. And Parton thinking Swift fits the bill is significant not only because of her name, but also because of her genre. As we all know, Swift started off her career in country music, the same genre where Parton has now solidified her status as an icon. Since Swift has made a complete transition from country to pop with her latest album 1989, she has been no stranger to criticism for her change in sound (among other things). So it's nice to see a country star supporting a young woman's dreams, even if they follow a different path than hers did. It seems like Parton is very respectful of Swift's transformation. After all, in the same interview, Parton said that she is not one to be giving advice to any other singers, Swift included, since she did not want to hear advice herself. Parton instead pointed out that it is different for every singer. It is worth applauding Parton for not trying to encourage Swift to follow a path to fit someone else's dream or someone else's idea of what her stardom should be all about. After all, no one knows your dream better than you do. To say that she is "proud" of Swift and to say that she thinks Swift knows who she is shows an example of great solidarity between women in the entertainment industry, despite the age difference and the genre change. And this isn't the first time Parton has shown support for a young singer, either! Parton has also had kind things to say about her goddaughter Miley Cyrus and has collaborated with Carrie Underwood. Props to Parton for letting them do their thing while cheering them on! Be true to yourself. You need to know what you will and won't put up with, and what you're willing to sacrifice. A desire, a wish and a dream are different things, and you've gotta figure out those little differences. We could all do well to follow her words!